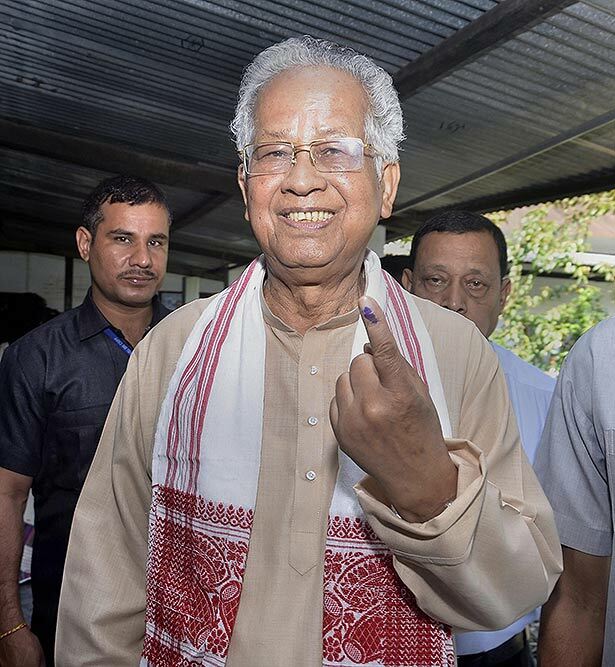 Former Assam chief minister Tarun Gogoi shows his finger marked with indelible ink after casting vote during the first phase of the general elections, at Jorhat in Assam. 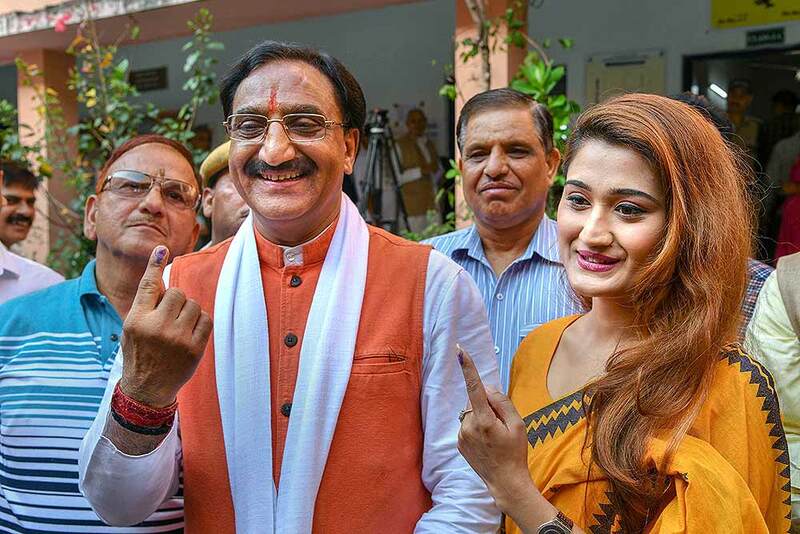 BJP leader and former Uttarakhand chief minister Ramesh Pokhriyal Nishank, along with his daughter Aarushi Pokhriyal, shows his finger marked with indelible ink after casting votes at a polling station, during the first phase of 2019 Lok Sabha elections, in Dehradun. 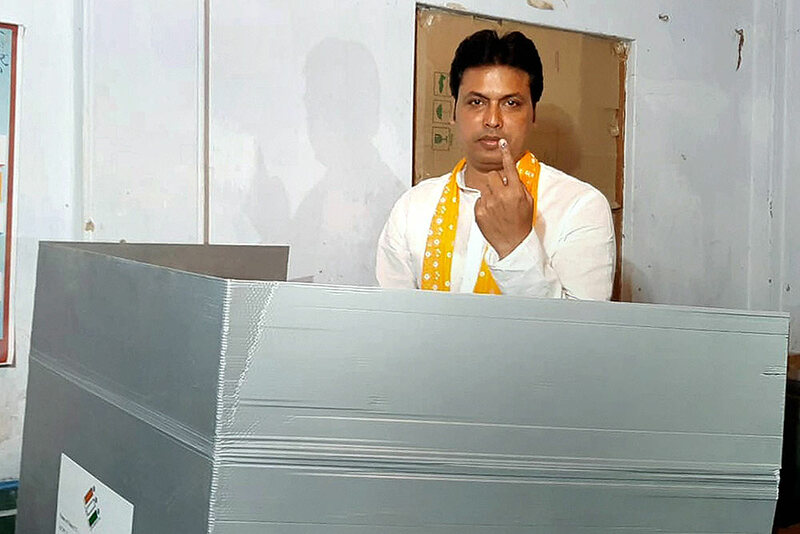 Tripura Chief Minister Biplab Kumar Deb shows his finger marked with indelible ink after casting vote at a polling station during the first phase of the general elections, in Agartala. 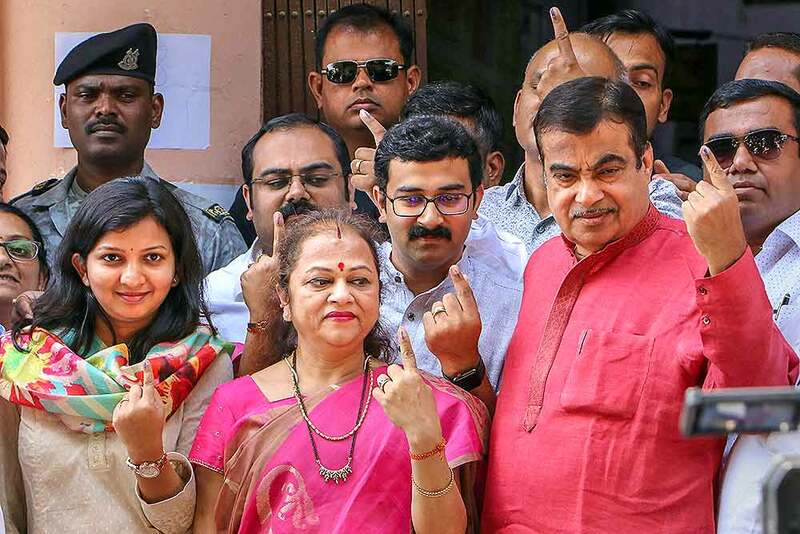 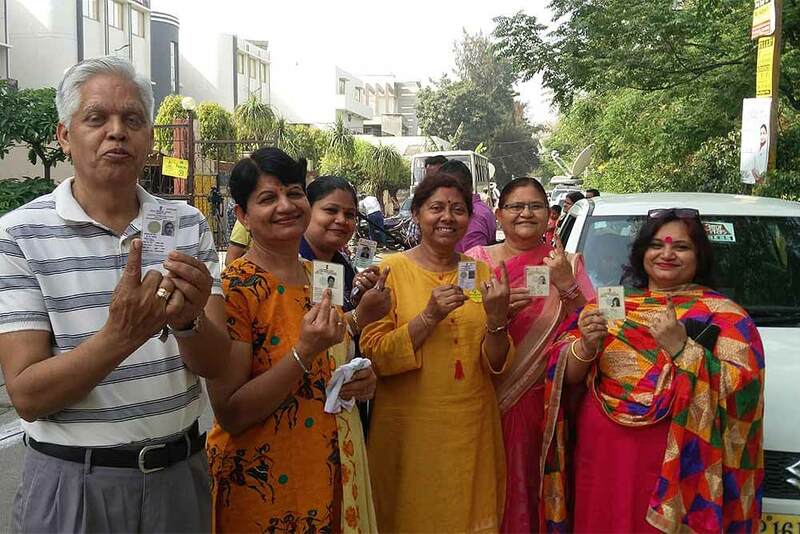 BJP Nagpur parliamentary candidate Nitin Gadkari and his family members show their fingers marked with indelible ink after casting vote during the first phase of the general elections, in Nagpur. 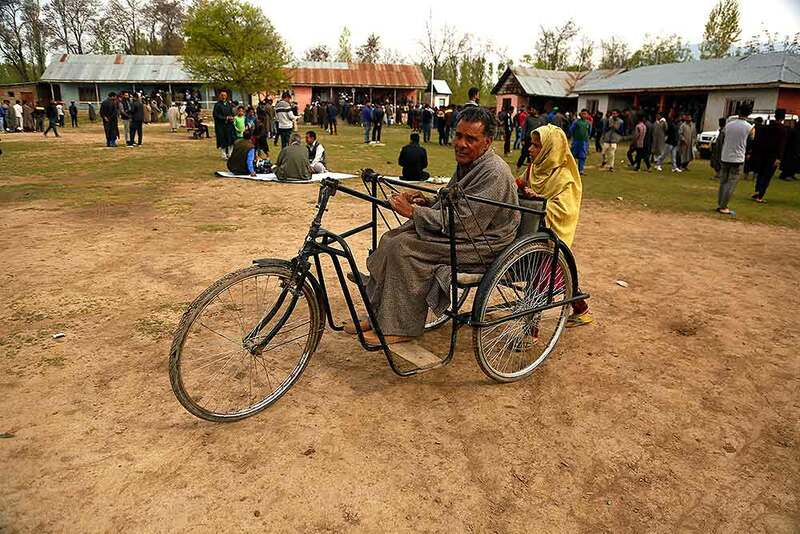 A man pushes a wheelchair carrying a voter at a polling station in village Shahpur near Muzaffarnagar. 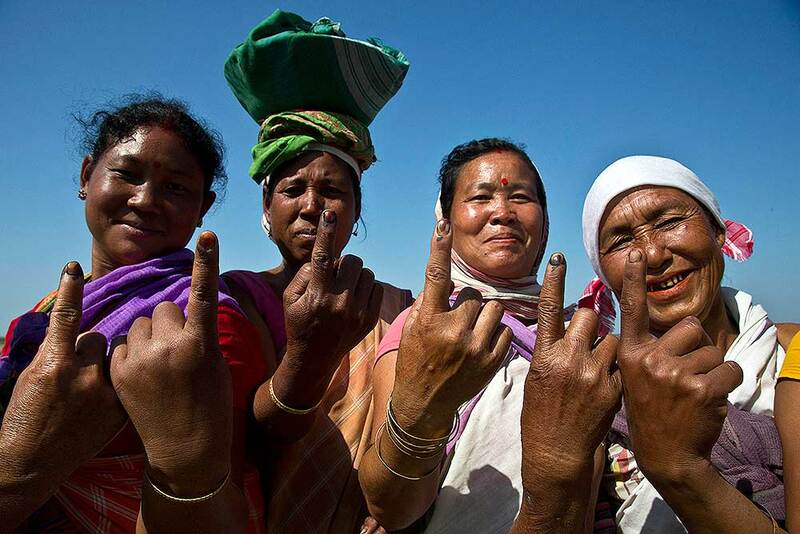 Mishing tribal women show the indelible ink marks on their index fingers after casting their votes in Majuli, Assam. 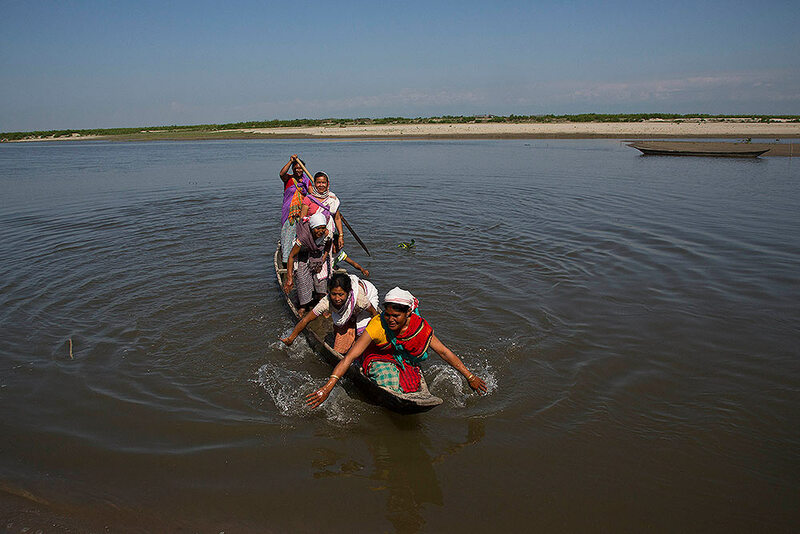 Mishing tribal women return on a country boat through river Brahmaputra after casting their votes in Majuli, Assam. 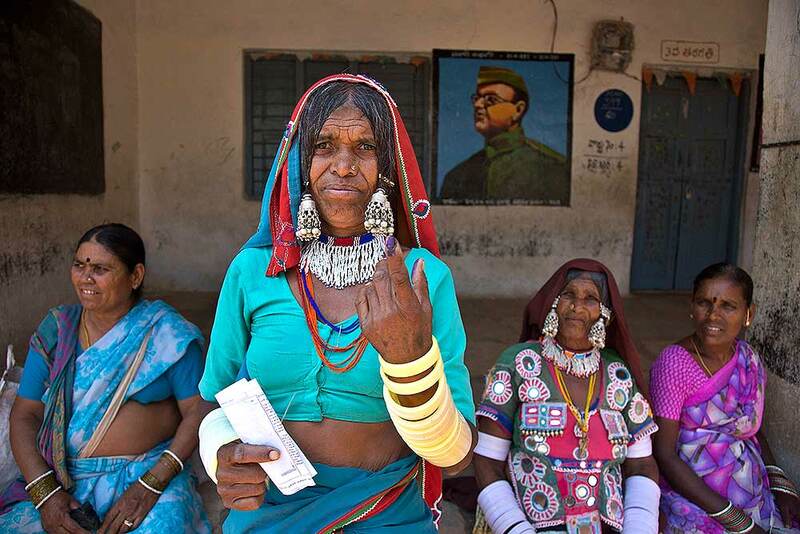 A Lambada tribal woman shows the indelible ink mark on her index finger after casting her vote at a polling boothduring the first phase of general elections in Hyderabad. 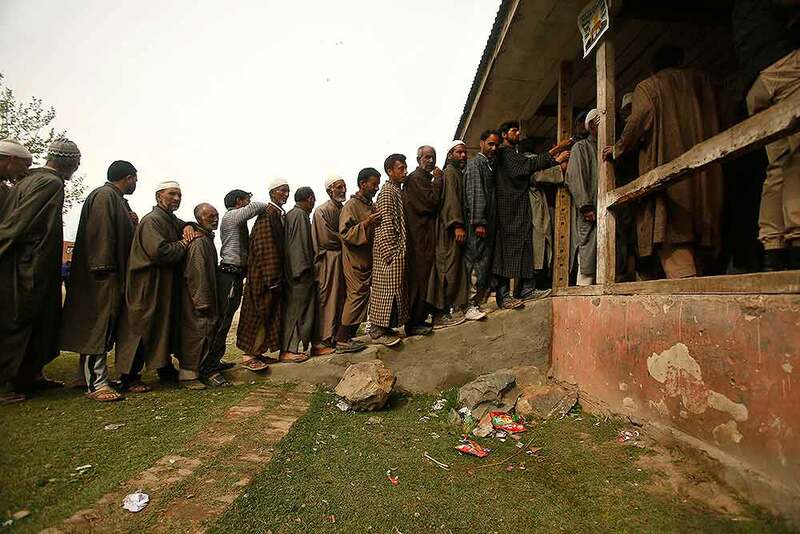 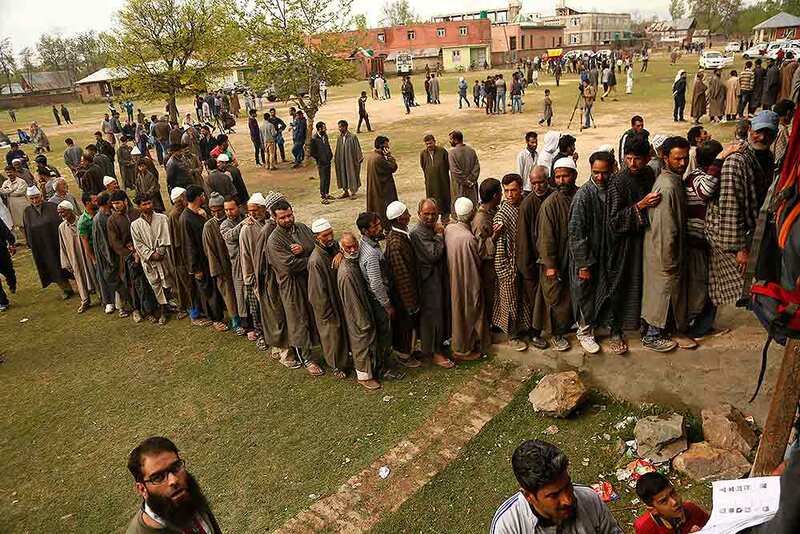 Kashmiri voters stand in a queue to cast their votes outside a polling station at Shadipora, outskirts of Srinagar. 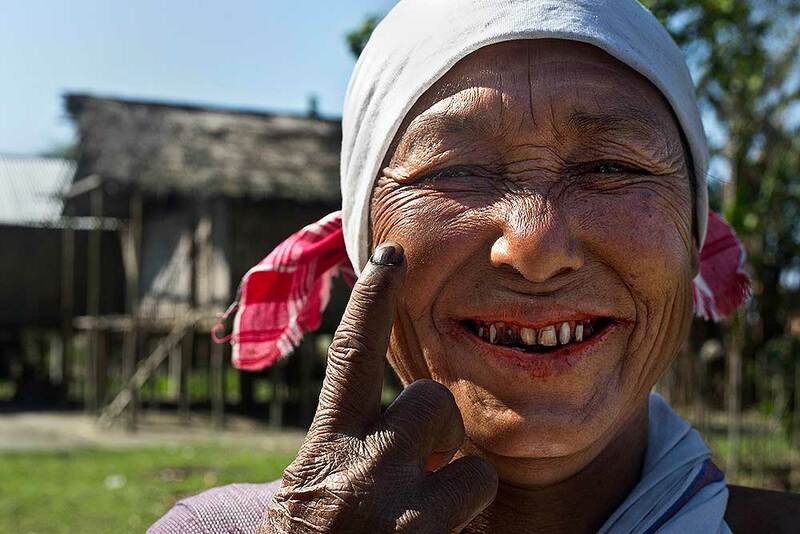 An elderly Mishing tribal woman, shows the indelible ink mark on her index finger after casting her vote during the first phase of general elections in Majuli, Assam. 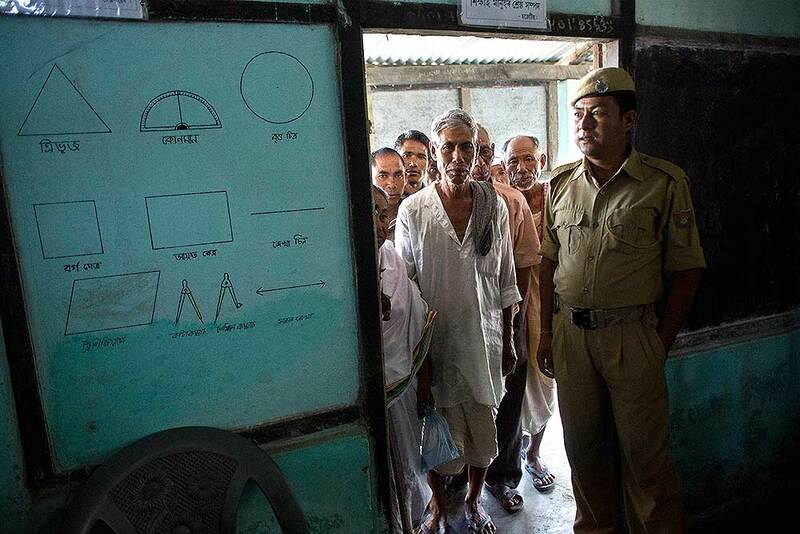 A security person stands guard as voters wait to cast their vote during the first phase of general elections in Majuli, Assam. 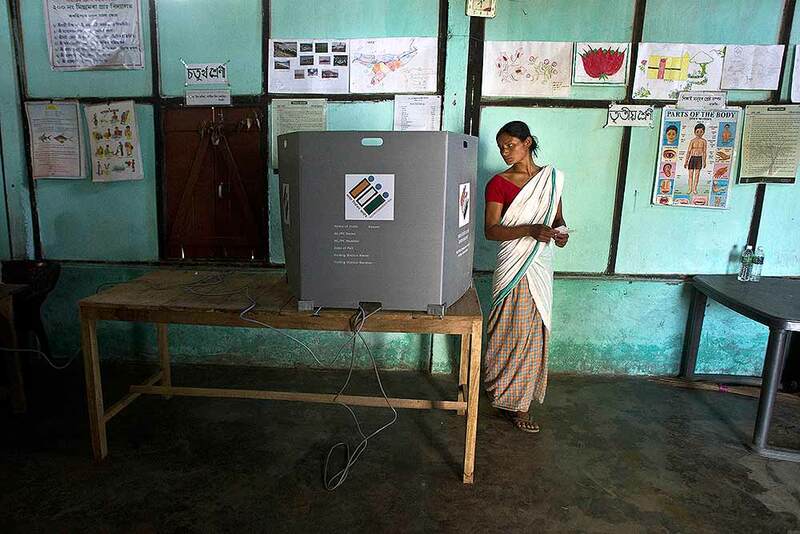 A Mishing tribal woman, looks back to ensure her vote has been cast as she prepares to leave the voting compartment during the first phase of general elections in Majuli, Assam. 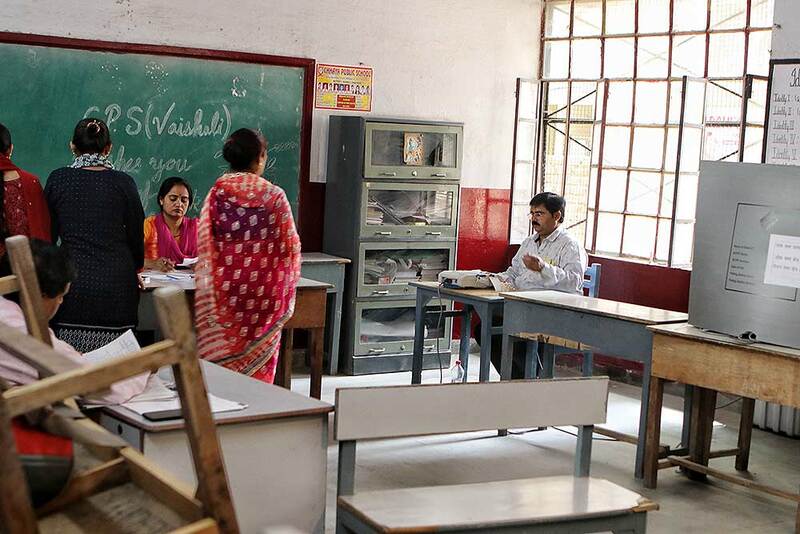 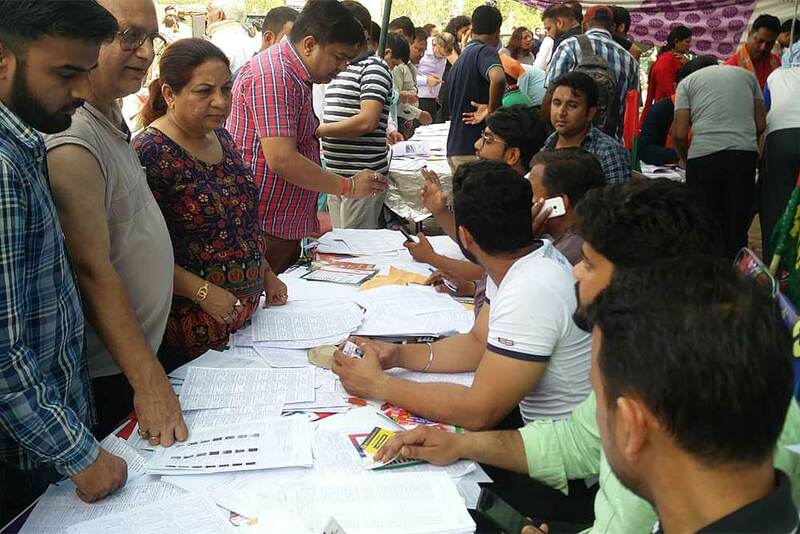 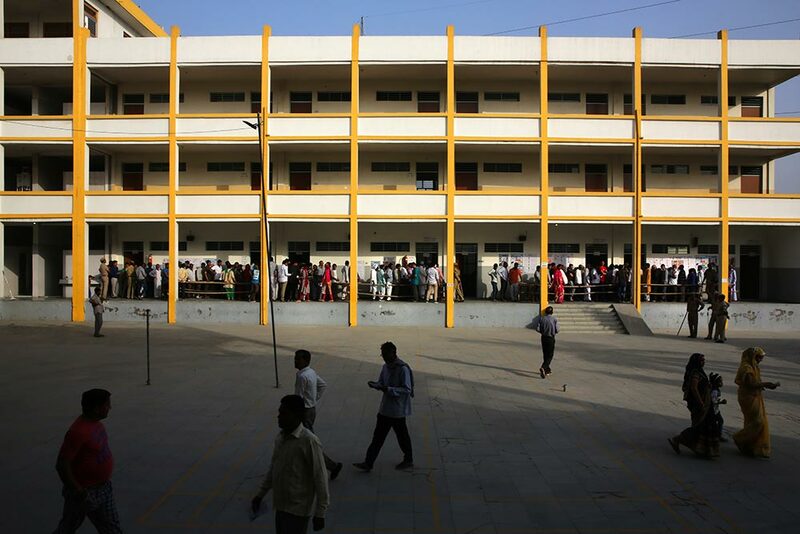 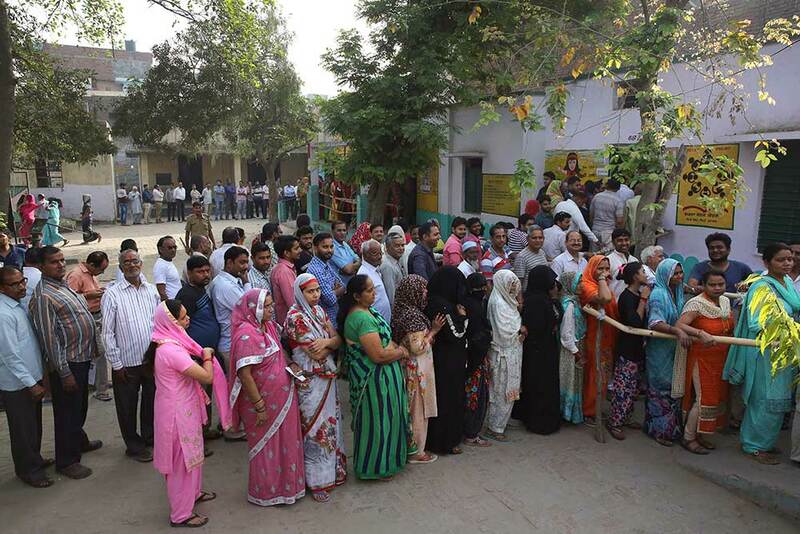 People check their names in the voters' list in Ghaziabad. 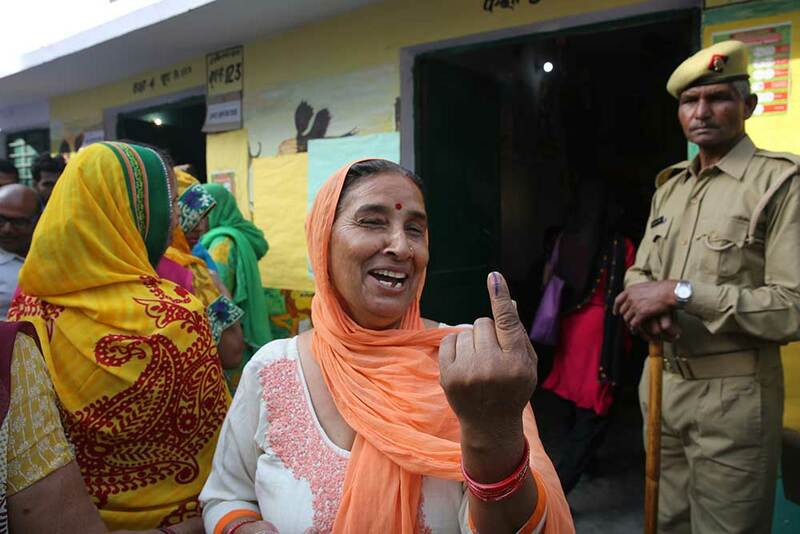 People shows the indelible ink mark on her index finger after casting her vote during the first phase of general elections in Ghaziabad. 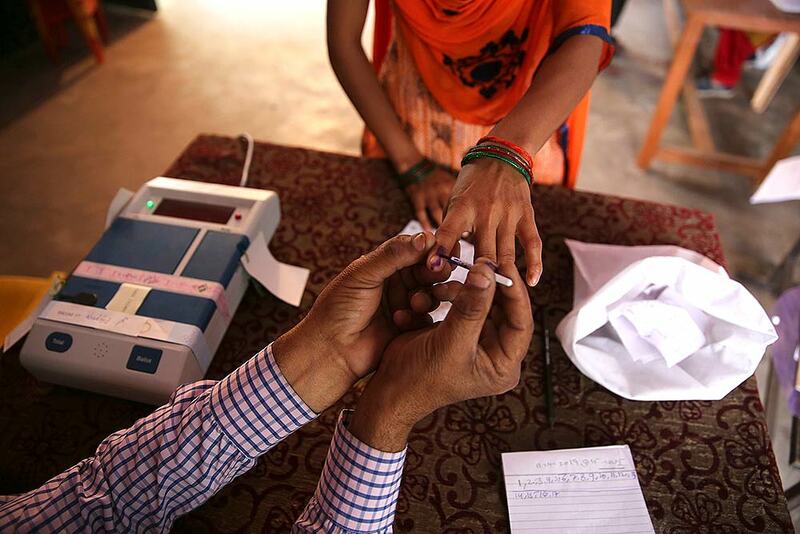 A polling officer puts indelible ink mark on the index finger of a voter during the first phase of general elections in Hyderabad. 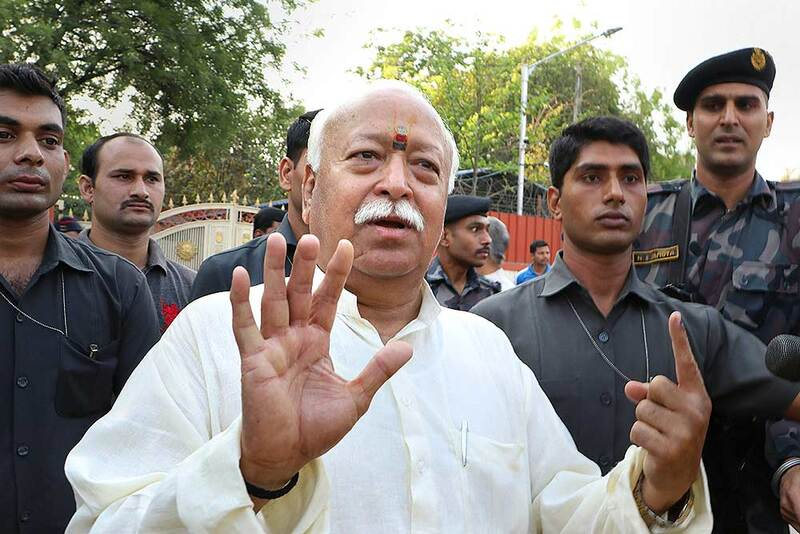 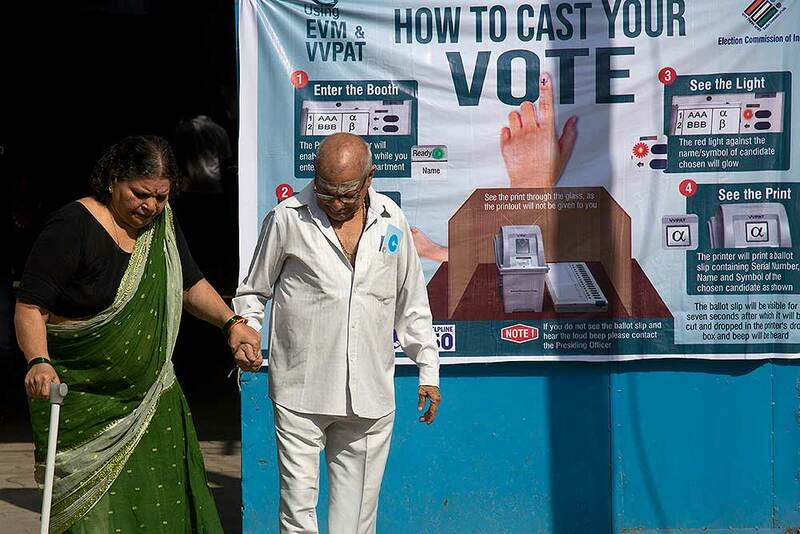 Two elderly Indians come out after casting their votes in the first phase of general elections in Hyderabad. 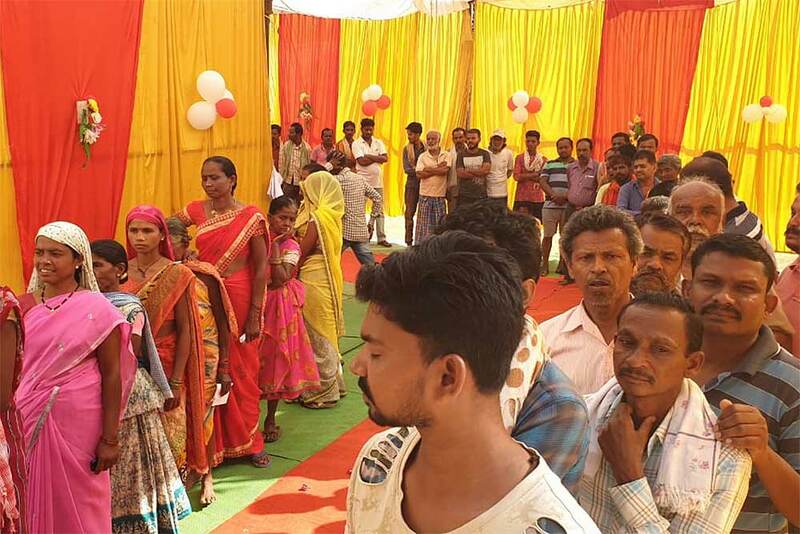 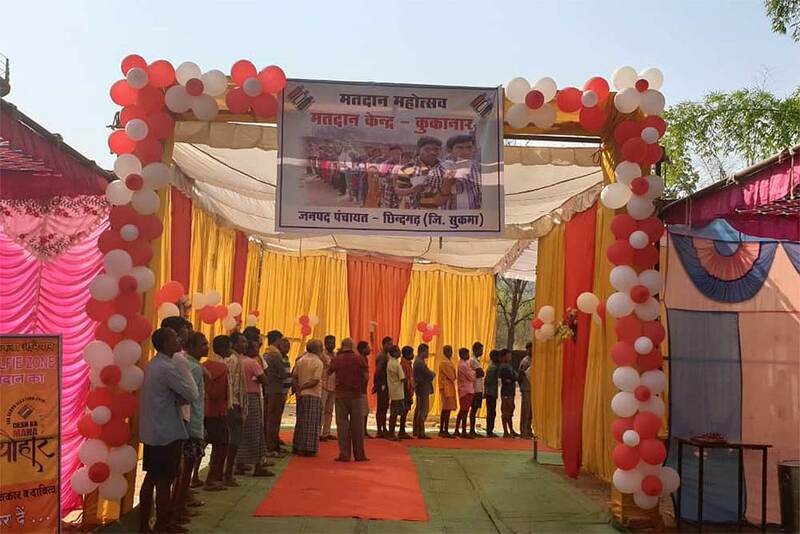 Voters outside Kuknar polling booth in Sukma district in Chhattisgarh. 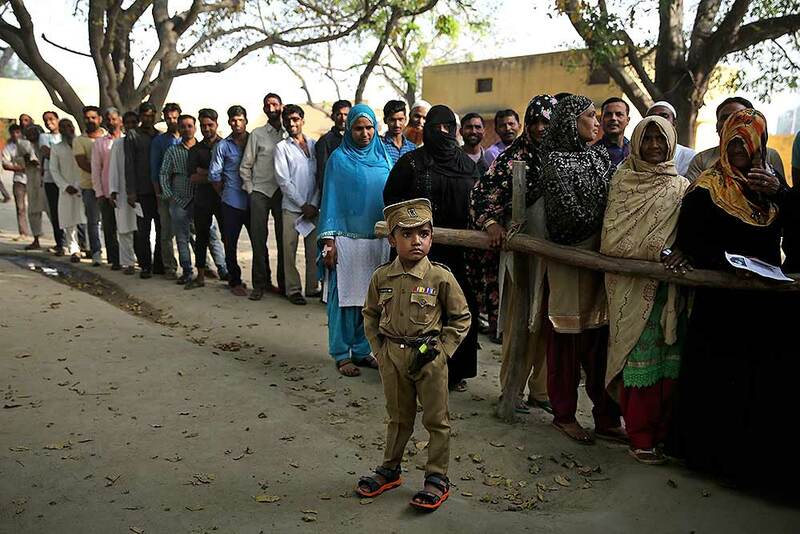 A young boy dressed as a policeman stands as people wait in a queue to cast their votes in village Sawaal near Meerut, Uttar Pradesh. 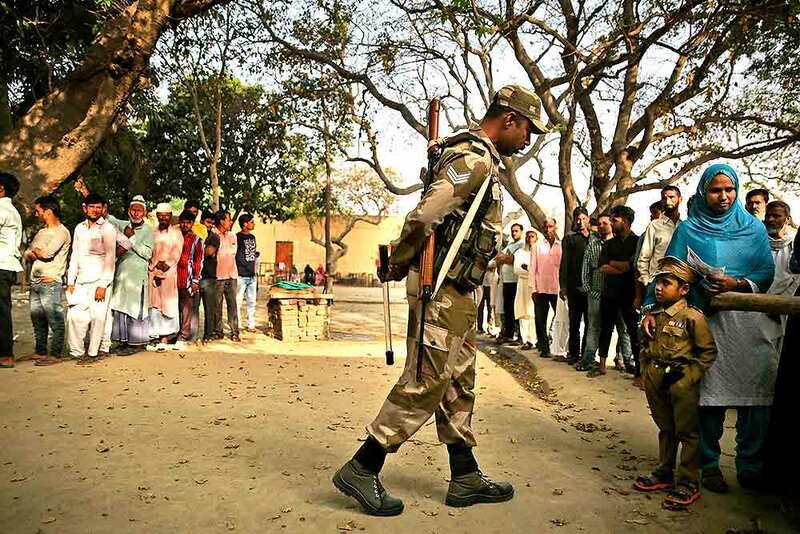 A paramilitary soldier stands guard as a young boy dressed as a policeman stands next to his mother in a queue to cast their votes in village Sawaal near Meerut, Uttar Pradesh. 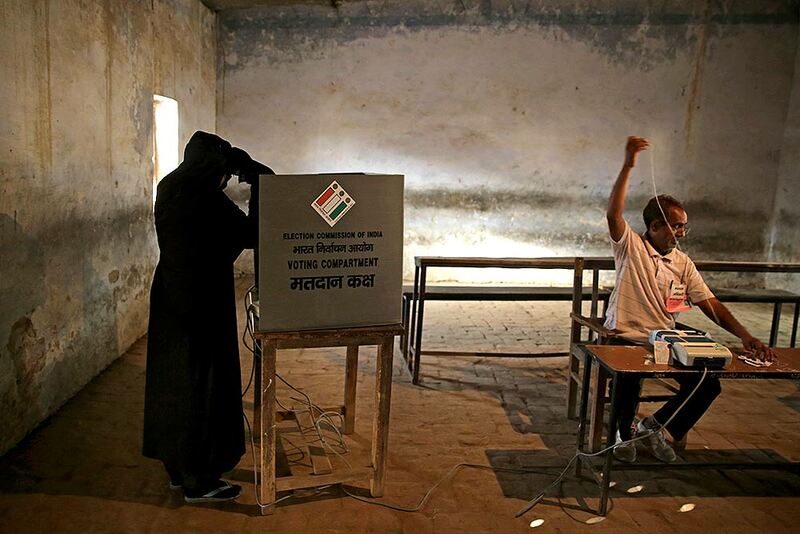 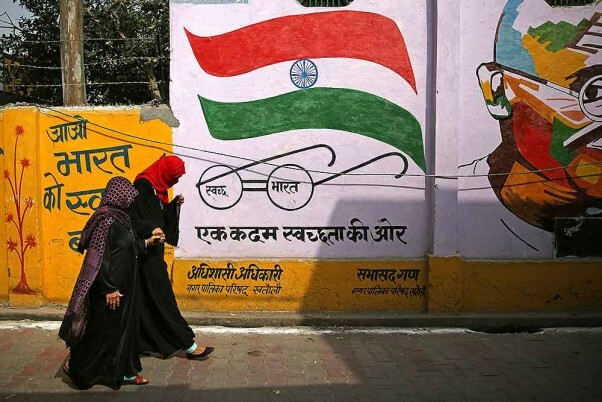 A Muslim woman casts her vote at a polling station in village Sawaal near Meerut, Uttar Pradesh. 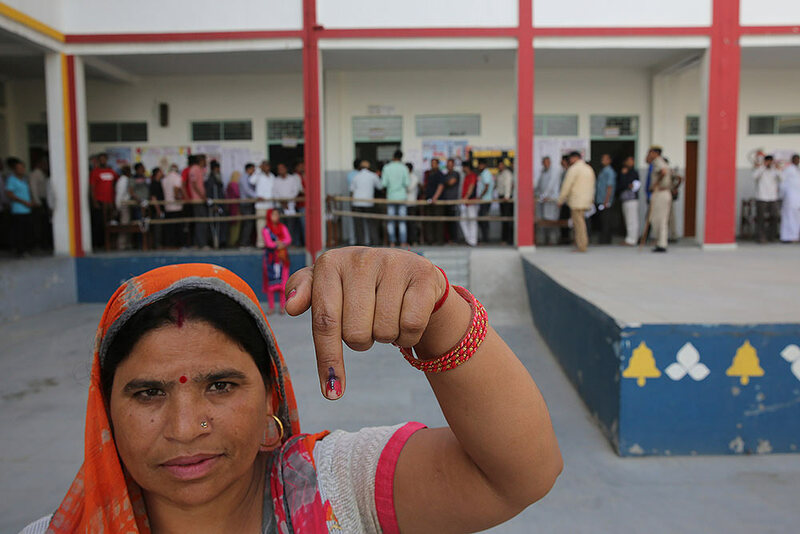 A woman shows the indelible ink mark on her index finger after casting her vote at a polling booth for the first phase of general elections, near Ghaziabad. 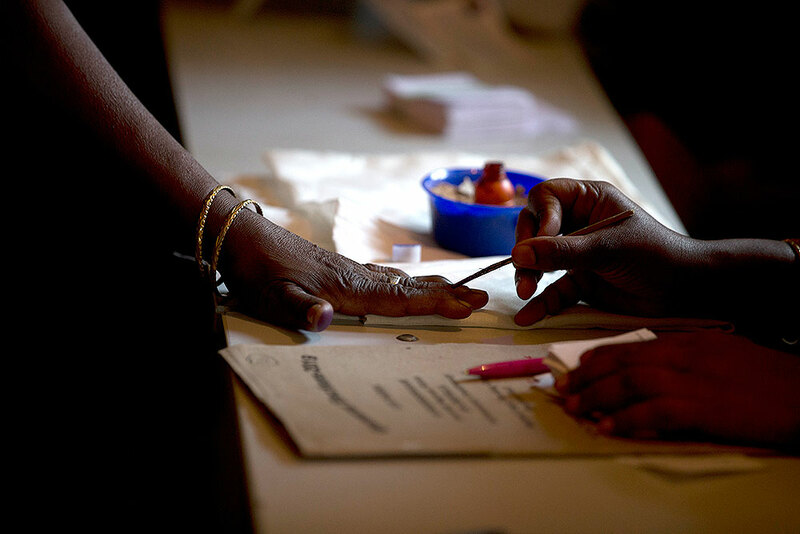 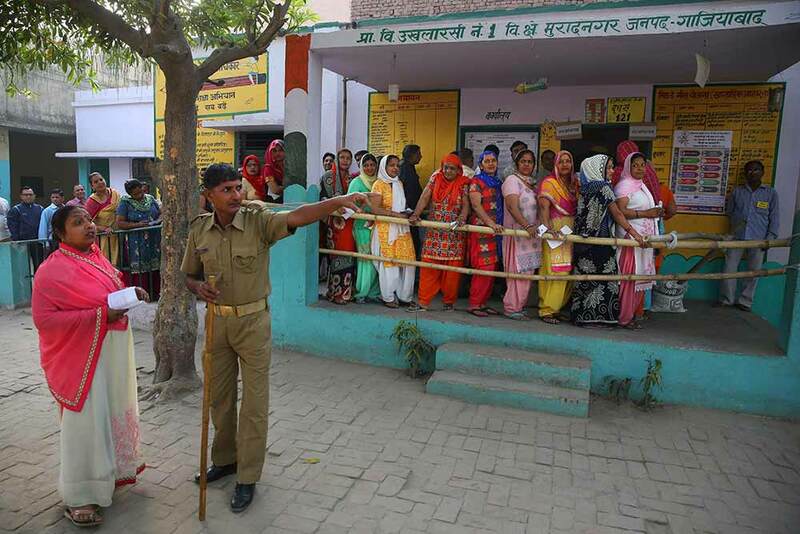 A polling officer puts indelible ink mark on the index finger of a voter for the first phase of general elections, near Ghaziabad. 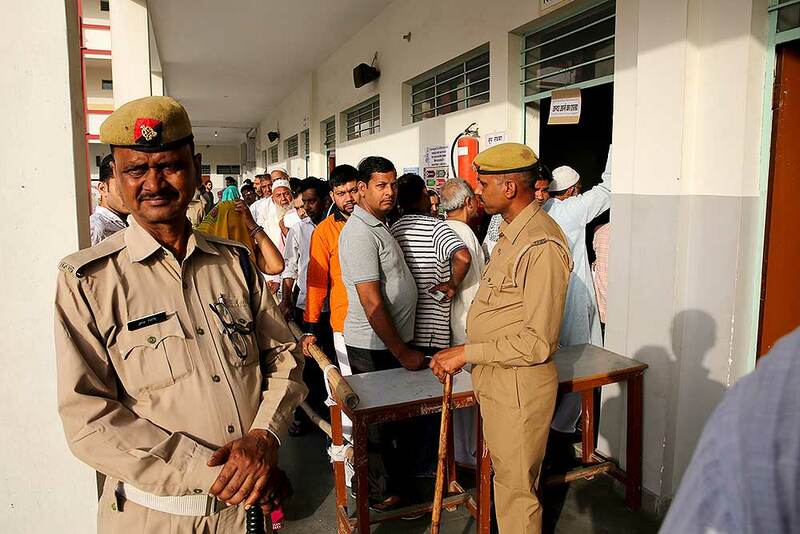 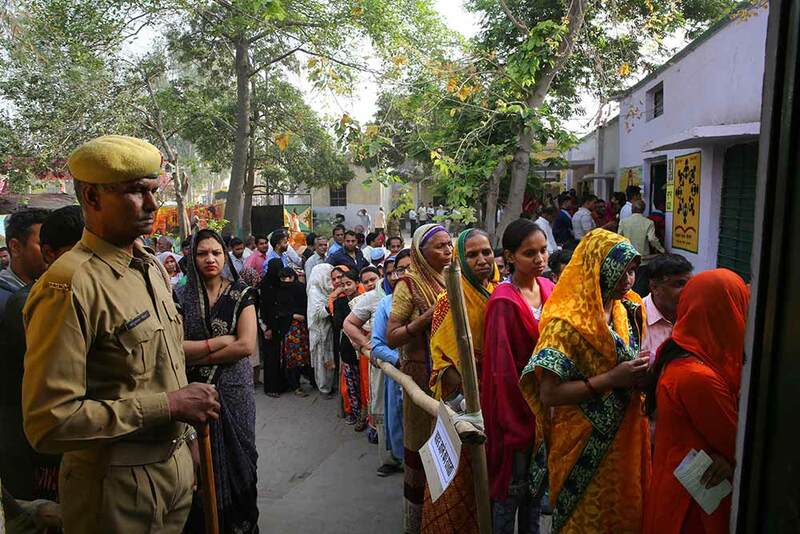 Policemen stand guard as people stand in queues to cast their votes in a polling booth for the first phase of general elections, near Ghaziabad. 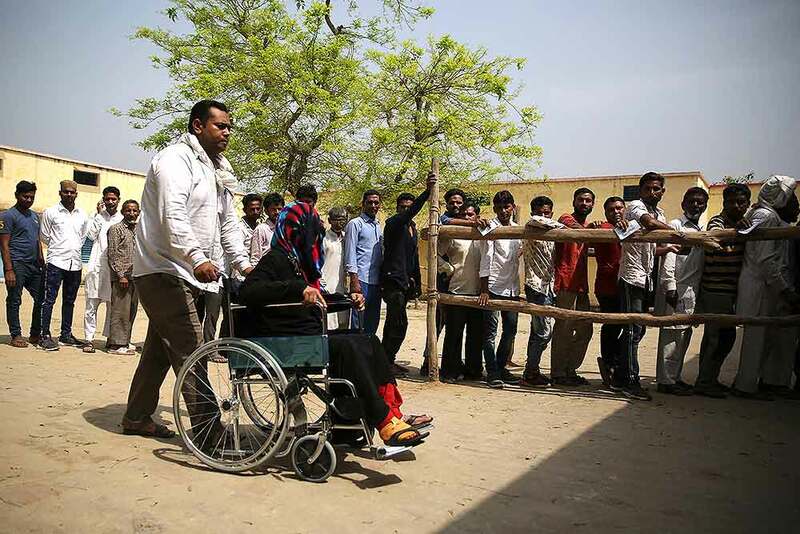 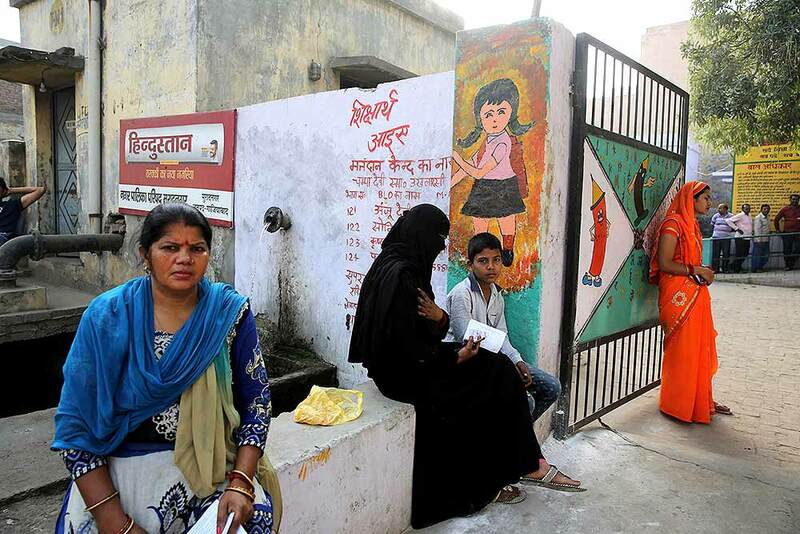 People waits for her family to cast her vote outside a polling booth for the first phase of general elections, near Ghaziabad.